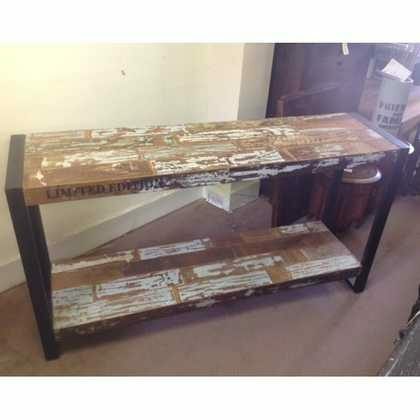 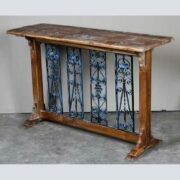 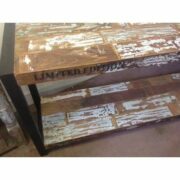 A smart industrial style console table made from brick’ effect reclaimed distressed wood, in a black metal frame. 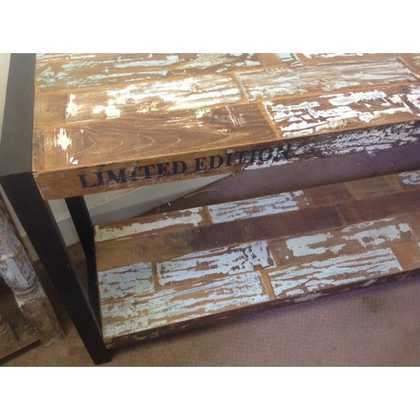 Solid and practical, the top and shelf below are painted in distressed pastel colours and the words Limited Edition’ are printed on the front edge. 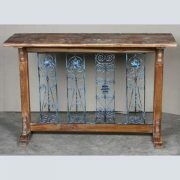 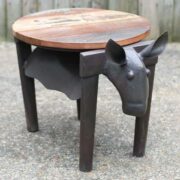 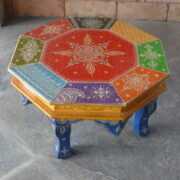 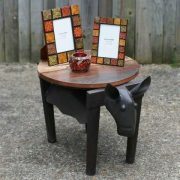 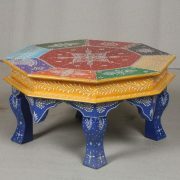 An ideal table to put up against the wall in a hallway or living room.